I hate when nice cars get cluttered with eBay/Auto Zone exterior accessories! 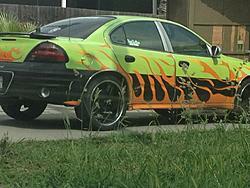 To top it off it has thug rims 110% Fail! Thug rims + roof vanes. Awesome combination, along with those exhaust things that you can see just attach to the stock y-pipe. 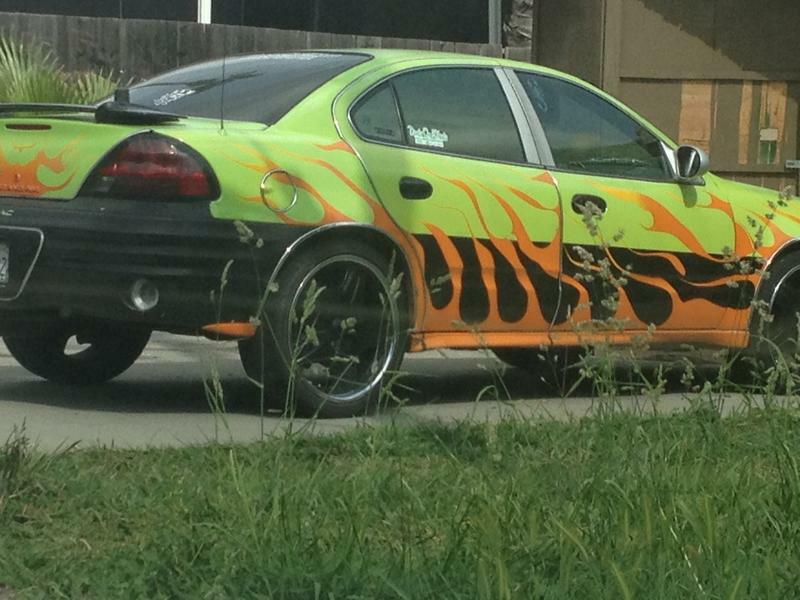 He can't decide if he is ghetto or fast. I like how he displays every hat he's ever owned in the rear window. This guy is the definition of "taking it too far"
Dammit, that IS300 is SO close to being right, yet it's just so wrong! Sunnyvale frys.. Had a massive wing on it too. I only took this pic in the car and heading out since there were a few people hanging around that car, and was worried I would get jumped.